Enterprise architecture in its current form is due for a review by the next administration—McCain or Obama. Will EA be the same under the next president? Government Executive Magazine, 15 September 2008, discusses “seven election-proof initiatives likely to go on in some form or another no matter who wins in November,” and enterprise architecture is one of those. 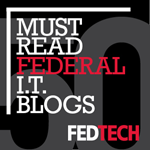 The Federal Enterprise Architecture is looked at as a mixed bag by the Office of Management and Budget. Indeed EA is a challenge for any organization—planning and driving business and technology change, breaking down organizational and functional silos, pushing for information sharing, interoperability, and reuse, mandating technical standards and preferred products, insisting on performance measurement, and enforcing compliance of IT security, privacy, Section 508, records management—EA is even more taxing for OMB which is looking to do these things across the entire federal government! What is undeniable is that enterprise architecture plays a vital function in our organizations! While the Schlarman’s points may sound harsh, I actually agree with him on the unnecessary complexity. This is a core tenet of User-centric Enterprise Architecture. As Schlarman says, we need to “distill” the message and clearly present it to our organizational decision makers. It needs to be useful and useable to them! EA will not only be saved, but will continue to thrive. As global competition continues to heat up, the pace of technology change spins faster and faster, and constrained resources continue to press us to do ever more with ever less, our organizations will be forced to respond in strength. Organization’s will continue look to enterprise architecture to better plan business process improvement and IT enablement and to govern sound investments and change. User-centric EA will keep the efforts focused on valuable and actionable architectures. Intel is one of the most amazing companies. They are the world’s largest semiconductor company, and the inventor of the popular x86 microprocessor series found in most PCs. Intel has around $40 billion in annual revenue, and ranked 62 in the Fortune 500 last year. Question repeatedly—a prior CEO of Intel, Andrew Grove, taught him “Ask why, and ask it again five more times, until all of the artifice is stripped away and you end up with the intellectually honest answer.” It easy to accept things on face value or to make snap judgments, but to really understand an issue, you need to get below the surface, and the way you do this is to question and dig deeper. I think this is critical for enterprise architects who are evaluating business and technology and providing recommendations to the business that can potentially make or break change efficacy. Architects should not just capture information to plunk into the architecture repository, but should question what they are seeing and hearing about the business, validate it, categorize it, and analyze it, to add value to it before serving that information up to decision makers. Measure Performance—“we systematically measured the performance of every part of the company to determine what was world class and what wasn’t. Then as analytically as possible, --we made the cuts…and saved $3 billion in overall spending.” Measuring performance is the only way to effectively manage performance. If decisions are to be anything more than gut and intuition, they need to be based on quantifiable measures and not just subjective management whim. Enterprise architects need to be proponents for enterprise-wide performance measurement. And not just at the top level either. Performance measures need to be implemented throughout the enterprise (vertically and horizontally) and dashboard views need to be provided to executives to make the measures visible and actionable. Communicate, communicate—“I made it my job to communicate, communicate, communicate the positive message. I did open forums, I did Webcasts, I told the employees to send me questions via email and I’d answer them...you have to convince them through reasoning and logic, the accuracy of your claims.” Good communication is one of those areas that are often overlooked and underappreciated. Leadership often just assumes that people will follow because they are “the leaders”. NOPE! People are not sheep. They will not follow just because. People are intelligent and want to be respected and explained to why….communication early and often is the key. The approach to architecture that I espouse, User-centric EA, focuses on the users and effectively communicating with them—each the way they need to absorb the information and at the level that is actionable to them. Making architecture information easy to understand and readily available is essential to help make it valuable and actionable to the users. User-centric EA uses principles of communication and design to do this. Intel, in its 40 year history, has repeatedly planned for change, measured it, and managed it successfully. Intel’s CEO, Gordon Moore, is the epitome of driving change. Moore, the founder of Moore’s Law, captured the exponential change/improvement in silicon chip performance—identifying that the number of transistors packed on silicon chip would double every two years. Intel’s subsequent obsession with Moore’s Law has kept them as the dominant player in computer processors and may lead them to dominance in cell phones and other mobile devices as well. All too often, when there are issues in our organizations, we treat the symptoms instead of the problems. Just like this is bad medicine in treating illness and healing patients, so too it is ineffective in architecting our organizations. The customer—“can be left feeling their problem was not addressed seriously, even when they’ve received some form of compensation.” Customers are fairness-minded; they want to know why the problem occurred and that it will not happen again. The service rep—“can start seeing complaining customers as the enemy, even though they point out flaws that need fixing.” Customer service reps are yelled at and abused by frustrated and angry customers who hold the service reps responsible for failures that are out of their control. The managers—“can feel pressure to limit flows of critical customer comments, even though acting on the information will improve efficiency and profits.” Managers need to learn from failures and reengineer the processes to correct problems, but instead they fear reporting negative customer satisfaction and shun reporting these. In essence, they are taught to just make the problem go away! “Fewer than 8% of the 60 organizations” in the wall Street Journal study did well integrating these actors and their perspectives to resolve problems at their root cause. The focus unfortunately is on short term results instead of architecting long term success. “Our experience with managers interested in improving service recovery indicates that most hope for a quick fix…but quick fixes only treat the symptoms of underlying problems. Real resolutions should involve closer integration among the three stakeholders, such as gathering more information from customers and sharing it throughout the company, and adopting new structures and practices that make it easier to spot problems and fix them. While executive management often want to achieve a quick turnaround and show results ASAP, and getting the low hanging fruit is often quite tempting, it is not often going to lead to substantive improvement in our organizations without a commitment and plan to address root cause. Sure, in architecting the organization, we need to start somewhere, show progress, and continuously build on initial success (i.e. it’s an evolutionary process). However, there must be a long term plan/architecture that deals with genuine, deep-seated organizational issues, improves our underlying processes and their technology enablement, and leads to fundamental growth and enterprise maturation. A quick fix just will not do! Operational efficiency can be the downfall of customer service. Home Depot, with approximately $80 billion in sales is #22 on the Fortune 500. They are the world's largest home improvement specialty retailer with over 2200 retail stores, and after Wal-Mart, they are the second largest retailer in the U.S. Yet, Home Depot has been on a slide, according to Fortune Magazine, 29 September 2008. “Over the past several years a trip to the big orange box has so often ended in frustration that the company once famous for its helpful employees became fodder for late-night TV jokes and home to hundreds of blog rants about bad experiences and disengaged or scarce employees." How has this affected business? What went wrong at Home Depot? Can you believe that Home Depot used 30 measures and NOT ONE had to do with customer service??? Now, under new CEO Frank Blake, Home Depot is returning to its customer-driven roots, and as a result they are closing the same-store sales gap with Lowes and stopping the slide in customer satisfaction. But regaining the trust of their customers will certainly be a challenge and a road to recovery. As I read this story in Fortune about Home Depot and internalized it, I came to appreciate more than ever the duality and criticality of User-centric Enterprise Architecture (UCEA). UCEA is not just developing the enterprise architecture with our users in mind (i.e. providing critical strategic information and governance services to the executive decision makers, line of business program and project managers, and IT professionals)—that is only one part. Perhaps the more critical element of User-centric EA is focusing the enterprise’s architecture on its customers. The way to continuously move the organization into the future is to always to focus and refocus on the organizations’ customers—on their needs, tastes, and continuous satisfaction. The key is to align the business and technical architecture with customer needs. The organization will only succeed if its users are getting what they need and that is the architecture that must be developed and refined over time. The question posed: is it time to switch our enterprise from PCs to Macs? Aside from the design wow factor and their innovativeness, historically, Macs are safer from viruses and have lower maintenance costs. All good reasons to consider an enterprise roll-over to Macs. From a User-centric perspective, Apple understands how people use technology and their products seem to be the choice many would like to make! What is holding Apple back in the enterprise? So what is an advantage to Apple in the consumer marketplace—catering to consumer needs and rapid innovation—is a boondoggle in the business environment. Ah, a double edged sword indeed. Further, a wholesale switch-out to Apple in a Windows shop typically involves desktops, servers, operating systems, and reworking oodles of legacy systems; this is quite a costly endeavor that is not easy to justify in resource constrained organizations. Further, one of the core principles of enterprise architecture is standardization in order to reduce complexity and achieve cost-efficiencies, so introducing new platforms or a mixed environment is frowned upon. In the future, as more and more applications become commoditized and moved to the Internet, thereby reducing the cost of transition to Apple, perhaps Apple will have a better chance to challenge Microsoft on the business playing field. The constitution, as we all know, sets up a wonderful form of government with three branches--the legislative, executive, and judicial--which function holistically and with checks and balances. The legislative branch—“sets the policy [and] establishes technical direction” To me, the legislative aspect of architecture is carried out by the EA program. The program develops the methodology, framework, policies, and processes, and develops the architecture blueprints for our organizations. Of course, EA does this based on the requirements of the organization, just as congress sets direction based on the needs and wishes of their constituents (i.e. this is the way it is supposed to work). The judicial branch—“creates and runs the ‘governing body,’ which manages compliance and recommends changes to policy and standards.” This is clearly the EA board (EAB) and Investment Review Board (IRB). The EAB reviews new and major changes to IT projects, products, and standards and provides findings and recommendations to the Investment Review Board, which issues decisions on authorizing, prioritizing, and funding the IT projects. Just as the three branches of government cannot function without each other, so to the functions of an enterprise architecture program cannot be successful without the others. The EA program sets the overall architectural policy and direction; the EAB and IRB vets and adjudicates the IT investments in accordance with the architecture; the business and technical professional executes or carries out the architecture with programs and projects to meet the business strategic, tactical, and operational needs. Similar to the three branches of government, the EA program, boards, and business/technical professionals are each separate, but work together and counter balance each other to establish architecture direction, interpret it on a project by project basis, and execute those projects to modernize and transform the organization. From the financial and credit crisis, to soaring energy prices, job losses, foreclosures, and run-away inflation, people’s investment portfolios are looking pretty darn gloomy these days. This is a way for people to hide from the reality of their losses. “Turning yourself into an ostrich doesn’t make your losses go away, but it does enable you to pretend they aren’t there.” What a wonderful defense mechanism for our psyches! Reading and thinking about this ostrich effect, I realized that it applies not only to the way people deal with financial losses, but all sorts of bad news they don’t want to hear or deal with. I believe in Freudian terms, they call this DENIAL! Just put your head in the sand and whatever it is you don’t want to deal with isn’t there, right? We all know that hiding from problems doesn’t make them go away. Yet, this same phenomenon in people’s personal lives is ever present in our enterprises! How many of the executives in your organizations follow this prescription of sticking their head in the sand when they don’t want to hear about or acknowledge problems in the workplace—competitive, technical, regulatory and so on? Unfortunately, many of our leaders close their eyes and ears to the problems that afflict our organizations in spite of all the reports, briefings, metrics, dashboards, and subject matter experts they consult. Why do our leaders ignore bad or challenging news? I suppose similar to the investor who doesn’t want to face the negative returns and shrinking balances on their account statements, executives often don’t want to or are unable to deal with the harsh reality in their organizations and in the competitive environment. It’s so much easier to pretend problems and challenges don’t exist and continue to report stellar results and returns to their boards, stockholders, stakeholders, regulators, and oversight authorities. In this election season, there has been a lot of banter of “putting lipstick on a pig.” Sounds a little like how ineffective leaders pretend to lead, by putting rosy colored lipstick on a pretty awful looking pig. The best leaders will use all the information available to face reality and raise the performance of the organization and its people to meet the challenges head on and truly grow and excel. The average and worst leader ignore what’s going on around them and see only what they want to see and report up and out what they believe others want to hear. Where does enterprise architecture come into play with this? Enterprise architecture is a vital source of information for our CIOs and other leaders. The wise ones see the strategic value of enterprise architecture, commit to it, champion it, and invest in it, using it to identify gaps, redundancies, roadblocks, and opportunities to innovate and improve the business and technology of the organization. I urge all CIOs to avoid being like the ostrich, and take this approach. Enterprise architects, supported by business and technical subject matter experts across the organization, develop the current and target architectures. The difference between these is what I would call, the architecture gap, from which is developed the transition plan (so far not much new here). New IT investments are a strategic, long-term strategy and retooling the existing IT assets is an operational, short-term strategy. Enterprise IT (centralized IT; the CIO) manage the IT asset strategy. If it is managed by enterprise IT, then it is a growth strategy (i.e. it is rolling out standardized IT—utility computing--for implementing enterprise solutions for systems or infrastructure). If it is managed by enterprise IT, then it is a renewal strategy (i.e. for recapitalizing enterprise IT assets). What the difference who is managing the IT assets? When IT assets are managed by the enterprise IT, then the organizations is motivated by establishing centralized controls, standards, and cost-effectiveness. Both approaches are important in establishing a solid, holistic, federated IT governance. The link between IT assets, investment/containment strategies, business and enterprise IT actors, and the benefits to the CIO and the enterprise was a well articulated and perceptive examination of enterprise architecture and gap analysis. We all want to know where IT is going in the future, what the trends are, so we can meet our future in it head-on. CIO Magazine, 1 May 2006, had an article called, “The Postmodern Manifesto”, predicting what the postmodern IT department will look like. 2+ years have passed (a long time in IT according to Moore’s Law), but these IT trends remain solid and true. Business innovation—“IT will assume responsibility for business innovation across the company. IT has spent the better part of 40 years automating business processes…IT’s role in process innovation will only increase…’we’ve gone from being the engineers of new processes to being the movers of innovation across the company,’” says Judith Campbell CIO of New York Life. Bottom line is the IT function and enterprise architecture in particular is viewed as the discipline for business process reengineering, improvement, and the introduction of new technologies, and the measure of success is results—cost-savings, cost-efficiencies, and performance improvements. IT has always been challenged in measuring return on investment (or in the government return on mission), but it is especially difficult when it comes quantifying the return on an abstract called information. This performance measurement challenge is manifest in the field of enterprise architecture as well. Yes, we need to make sure the IT computer and server “lights” stay on, the network is up and the communications are available, but more importantly we need to take IT to the next level, to strategically partner with the business to architect, govern, and achieve genuine, measureable ROI and transformation! View more Microsoft Word documents from ablumen. Reaching for the stars—Toyota sets “near-unattainable goals.” For example, “consider the company’s strategy: Meet every customer need and provide a full line in every market.” This runs counter to Michael Porter’s strategy of “choosing what not to do.” Additionally, Toyota’s goals are “purposely vague” to force exploration, innovation, and collaboration to meet them. Have you ever seen anything like these goals in your organization’s strategic plans? I highly doubt it. But imagine how your enterprise would change culturally and competitively overnight if you did! Of course, Toyota’s strategy of Kaizen—continuous improvement—is part of their unending desire to succeed and not be satisfied. They view improvement as not something you achieve, but as something you continuously strive for. We can apply Toyota’s reach goals and Kaizen philosophy to making enterprise architecture planning more effective too. We need to stop conveniently “planning” on things we are working on now or for which we have a head-up that are just around the corner. Sure it’s easy to plan with 20-20 hindsight and it helps us to achieve our unit and individual performance plans and gets inappropriately recognized and rewarded, but this is really a short term outlook and not one that will drive organizational success. Instead, like Toyota, we need to set goals that are stretch goals for the organization, and which make us go beyond our comfort zones, so that we can truly work to break out of the box and differentiate ourselves and our organization from the status quo and the limits of our imagination. Setting the bar truly high and then not settling for anything less than continual improvement is a long term strategy for success and one that needs to be genuinely encouraged and rewarded. This concept of valuing employees and listening to them can shed light on how we need to develop effective enterprise architecture and sound governance; whereby, we provide all major stakeholders a voice at the table--to participate in and influence planning, decision making, and innovation. This is the way to achieve higher returns and lower risks. We need to stop planning and making decisions on the whims of the few or based on gut, intuition, and politics. We must cultivate information sharing, collaboration, and elevate people as the quintessential element of our enterprise’s success. People are flawed, but our endeavors make us great! What’s an example of cloud computing? In cloud computing, resources--either hardware or software--are available on-demand—as needed. In the case of on-demand software, application service providers (ASPs) offer software as a service (SaaS). And for on-demand hardware or IT infrastructure (i.e. virtual data center capabilities such as servers or storage), the offering takes the form of utility computing. In both cases, technology resources are served up on a pay-as-you-go or metered basis, similar to the way a public utility would charge for electricity, oil/gas, telephone, water, and so on. The cloud computing model is similar to service oriented architecture where there is a service provider and consumer, and here the Internet functions the basic service broker. What are the major advantages of cloud computing? Cost—one of the big advantages of this computing model is that the upfront IT investment cost is little to none, since the IT assets are in essence being rented. Scalability—customers have the ability to use more resources when they have a surge in demand and can scale back or turn off the spigot when the resources are not needed. Flexibility—As IT capabilities get updated by the service provider, consumers in the cloud model can make immediate use of them and benefit sooner than if they had to stand up the capabilities themselves. Mission focus—The enterprise can stay focused on core mission and mission support capabilities and in essence easily outsource business support functions, where the service provider is responsible for enabling more generic (not strategic or differentiators) business capabilities. What are the enterprise architecture implications? Cloud computing can play an important role in focusing IT solutions on strategic mission requirements, simplifying and standardizing our IT infrastructures by outsourcing capabilities, utilizing a services oriented architecture (SOA) model where common business services are served up by providers and consumed by the enterprise, and more effectively managing costs. What is the future of cloud computing? Obviously, there are security implications, but as Galen Gruman states: “as SOA and virtualization permeate the enterprise, the idea of loosely coupled services running on an agile, scalable infrastructure should make every enterprise a node in the cloud. It’s a long-running tend with a far-out horizon. But among big metatrends, cloud computing is the hardest one to argue with in the long term. The interactive last part sounds like a prehistoric version of Second Life, which just may be the most interesting part to the new game. On a recent vacation, I had the opportunity to test a free software download version called Spore Creature Creator, and while the game concept and the strange looking creatures were intriguing, I found the game quickly turned ho hum, boring. Why is Spore so Important to Electronic Arts? Electronic Arts has had six consecutive money losing quarters and is desperate for a product winner. At a development cost of $50M, and $25M in marketing, distribution, and manufacturing costs, the company needs to sell a whopping million and a half copies of Spore at a price of $50 just to break even. (Note: a “blockbuster—generally mean sales of one million units or more for a PC game). What is wrong with Electronic Arts Spore game concept? Desperate times lead to desperate measures—Electronic Arts is losing money and prestige and is desperate for a hit, and one that signals a turnaround for the company. However, Spore is not a game changing event. First, Spore is based on other simulation style games and is adding what? I’d say, aside from some creative graphics, not much. So it’s not particularly innovative, which is what they really need a dose of (you can’t keep milking the same cow endlessly with sequels—even Star Wars and Harry Potter eventually run out of steam). Second, when organizations, like Electronic Arts are struggling and faced with daunting challenges, they need to be careful not to fall into the desperate flailing of a drowning victim. It’s important to remain calm, keep your whits about you, and always follow a careful thought out plan to survive. To me that’s really the essence of Enterprise Architecture, sound planning and governance. In the case of Electronic Arts, instead of simply rolling out their next sequel, they needed to be planning on their next big innovation. While Spore may be a cultural curiosity or phenomenon for a while, it does not measure up to true innovation. Hence, the simple answer is the infamous reorganization. Enterprises are constantly reorganizing (AKA “another REORG”). The reorgs are supposed to make the organization more efficient and effective, but more often than not, it results in instability, confusion, a reshuffling of bodies and a movement of lines on the org chart without any substantial changes to people, process, or technology. At the end of reorg, leadership falsely claims success and starts the process again, of course collecting their mega sized bonus along the way. What a crock and what a disservice to our customers, employees, partners, and investors. So should we stop reorging? It sort of obvious, but most organizations still don't get that strategic execution depends on having a good plan to begin with and a sound governance structure to manage it! Decision rights = sound governance. Information flows = sound enterprise architecture planning. We set a strategic direction—that is through our business strategy and enterprise architecture plans. We enforce it—that is our governance (for authorizing, prioritizing, funding, controlling, and assessing programs and projects). Reorganizations do not supplant the need for good planning and governance. Without good planning and governance, reorganizations are leadership’s feeble attempts to do something, anything to change the status quo, and often they result in short-term gains only (and sometimes they do not even do that and result in more harm than good). However, a reorganization that is driven by solid planning and governance can have significant and lasting impact for our transformation efforts.